Our Ringlok® stainless steel compression fittings were the specified product on this project. The Snorre field lies approximately 200km west of Floro, in Norway and awarded in 1984. Snorre has recoverable reserves of 1.4 billion of barrels of oil, 6 billion m3 of gas and 6 million tonnes of natural gas liquids. 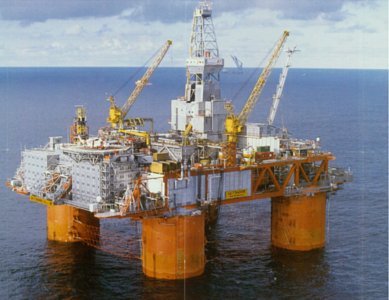 The original plan for Snorre put daily oil production capacity at roughly 186,305 barrels. This was upgraded in 1997 to 245,000 barrels, with a further 115,000 barrels added when the process module for the Vigdis crude was installed, giving a daily capacity of 360,000 barrels/day. Field life is expected to extend into the year 2020. Phase two of the development embraces the field’s Northern flank, which will be developed with a four-coloumn semi-submersible platform (Snorre B) which came on stream in June 2001 from well C-5, sending fully-processed crude through a 45km pipeline to Stratjord B for storage and transport. An estimated 36 million barrels of oil remains to be recovered from Snorre B.
Waverley Brownall Ltd were the approved supplier for this project. Saudi Arabia’s primary oil export terminals are located at Ras Tanura which has a 6 million bbl/d capacity and is the world’s largest offshore oil loading facility. Combined with other terminals they are capable of handling around 14 million bbl/d, around 3.0-3.5 million bbd/d higher than Saudi crude oil production capacity. The Major Refinery at Ras Tanura produces 300,000 bbl/d. Saudi Aramco launched a project called the Ras Tanura Refinery Clean Fuels and Aromatics Project. At a cost of $2.6 billion, this project was to improve the environmental friendliness of the plant. The refinery also underwent a huge expansion during 2007-2012. Other units such as a diesel hydrotreater, an amine regeneration unit and a 200tpd sulphur unit were also installed. Looking for quality engineering solutions for your project? 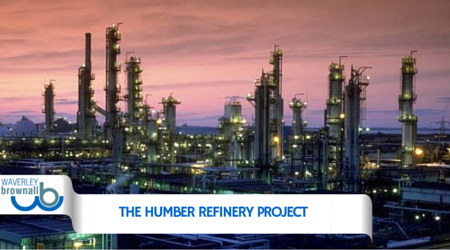 Our Duoloc single ferrule compression fitting range were the preferred fitting for the Humber Refinery site. 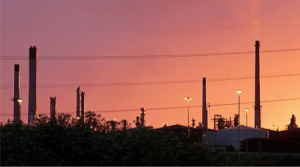 The refinery is located on a 480-acre site at South Killingholme on the Humber Estuary near the ports of Immingham and Grimsby. Its construction began in 1966 and was completed in 1969 at a total cost of $77.5 million. Every day the refinery processes some 221,000 barrels of crude oil and other feedstocks. The crude oil arrives in marine tankers which off-load their cargo at Tetney monobuoy in the Humber Estuary. From here, the oil is pumped by undersea pipeline to tank storage at Tetney oil terminal, before being piped into the refinery for processing. Refined products are exported by ship from Immingham dock and transported to inland customers by road, rail and pipeline. During 2012, ConocoPhillips spun off its downstream assets as a new, separate company, Phillips66. The refinery is currently owned by The Phillips 66 Company. Operator BG Exploration & Production, and co-ventures Amoco, Fina, Phillips UK, Yorkshire Electricity and Agip UK, started production at the £430 million Armada development in the Central North Sea. Armada commenced operation on schedule and gas is being delivered to customers as production increases to full capacity. Armada is £107 million below the original budget of £537 million. Peak gas production of 450 million standard cubic feet per day will be transported through CATS (the Central Area Transmission System) to Teeside. In addition, up to 26,000 barrels per day of condensate (light oil), will be exported through the Forties pipeline system to the Cruden Bay in Scotland, and pumped to Grangemouth for Processing. Our Ringlok® stainless steel fittings range is the specified fitting on the project. Located 210 kilometres North-East of Aberdeen in water of depth 146m, the Britannia natural gas/condensate field development is one of the largest and most significant ever undertaken in the United Kingdom. 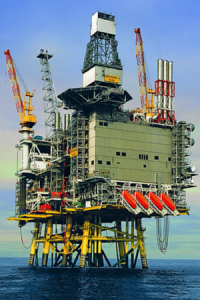 Under an agreement unique in the United Kingdom, Chevron U.K. Limited and Conoco (U.K.) Limited established a separate company, Britannia Operator Ltd (BOL), to act as a Operator of the field. Britannia plays a key role in meeting the U.K.’s need for primary energy from indigenous sources. Britannia has now come off plateau production rates, creating spare capacity for Britannia Operator Ltd (BOL) Satellite fields Brodgar and Callanish are to be joined to Britannia via cubsea pipelines in 2005.